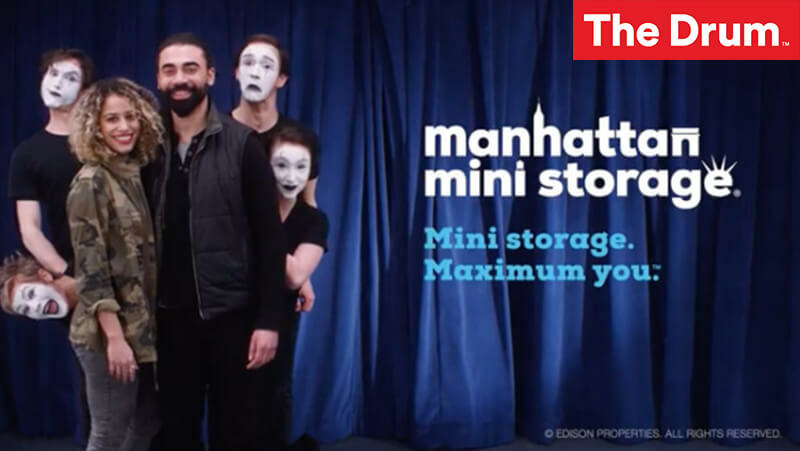 Manhattan Mini Stories: A series of short films showcasing storage experiences of real customers, “Manhattan Mini Stories” brings quintessential New York experiences to life in a dramatic way with the help of local performance artists. The Storage Guru: Introducing The Storage Guru, a customer for decades, who has dedicated himself to enlightening New Yorkers about Manhattan Mini Storage and the benefits of achieving storage nirvana. Manhattan Mini Storage strives to be a part of New Yorkers’ lives with de-cluttering solutions for all major milestones— whether their first apartment in the big city, supporting their own entrepreneurial dreams, or getting married and starting a family. The “Mini storage. Maximum you.” campaign highlights the ability to move freely in a city where everything seems transitory and find liberation from New York neurosis, clutter, and baggage (both emotional and physical).